Buy this item and earn 182 points valued at £1.82. Davidoff's Cognac Large Bent pipe is made in Italy of the finest briarwood root and features a hand-cut acrylic stem. With a more deeply rounded bowl and beautiful texture, our pipe awaits the finest tobacco. 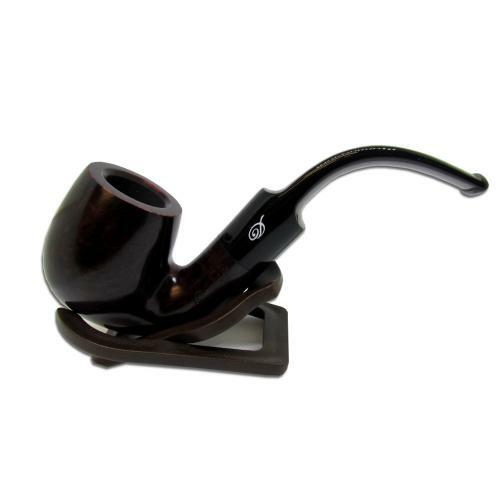 The Cognac Large Bent has a deeper curve to its bent stem for a drier smoke and comfortable clenching.